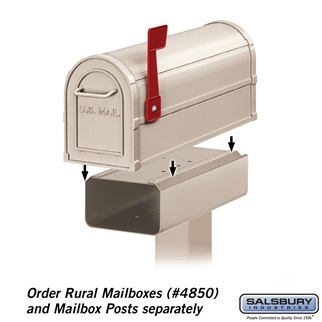 Mailbox is made entirely of aluminum; constructed of a 1/8" thick extruded aluminum body with a 1/8" thick die cast aluminum front door and rear cover. The die cast door is attached to the body with a full-width stainless steel hinge allowing for smooth operation & has an aluminum pull handle. Feature a durable powder coated finish. Include an adjustable signal flag and a magnetic door catch. 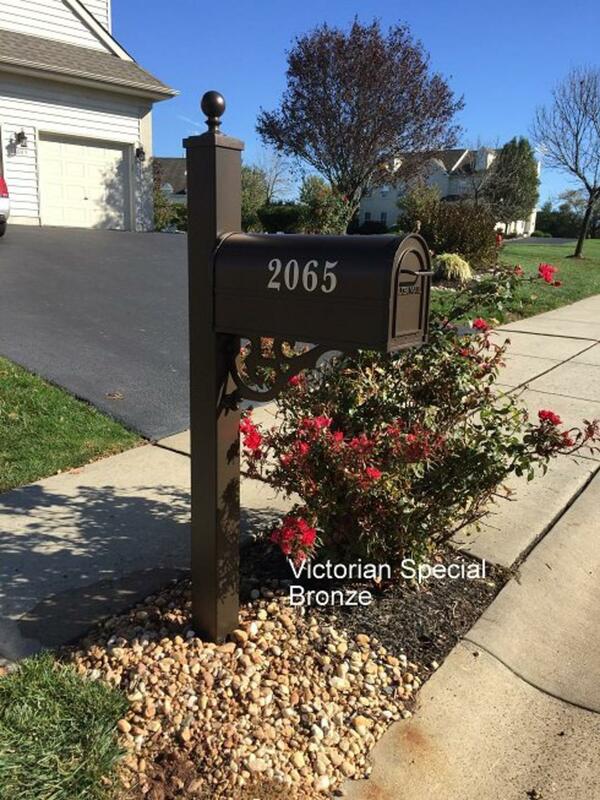 Post are made of heavy duty aluminum with a durable powder coat finish.